Francis Stainthorp was born on 22nd August 1803 in Hutton Rudby in the old North Riding of Yorkshire. He was named after his father Francis Stainthorp (1765-1822); his mother was Francis’s second wife Hannah née Waring (1768-1836).1,2 The younger Francis was my great-great-great-great grandfather. The Hand Loom Weaver by F.W. Jackson (Manchester Art Gallery). Bridge over the River Leven, Hutton Rudby. © Copyright Paul Buckingham and licensed for reuse under this Creative Commons Licence. From this point on it is possible to use census records to trace the Stainthorp family in Hutton Rudby. The first ‘modern’ census of UK households was taken on 6th June 1841. Although censuses had been taken every ten years since the passing of the Census Act 1800, these earlier, pre-1841 censuses were anonymous head-counts of residents and occupations and are not generally useful for family historians. Map of Hutton Rudby showing North End and Goldie Hill. Ordnance Survey six-inch map of Yorkshire (sheet 28), 1856. Francis and Ann’s remaining son Charles Stainthorp (1835-1905) married twice and had eleven children. He was a butcher and farmer in Hutton Rudby before he left the North Riding and ended his days as a dairyman in Newcastle upon Tyne. Charles lived an eventful life and will be the subject of a future post. He was my great-great-great grandfather. Sketch family tree showing the family of Francis and John Stainthorp in Hutton Rudby. Some dates of birth and death are unconfirmed. Image created using Family Echo software (www.familyecho.com). This post is thanks to the National Archives, Borthwick Institute for Archives, Lincolnshire public library service, the libraries of Robert Gordon University and the University of Lincoln, the Northumberland and Durham Family History Society, the RootsChat web forum and the ENG-NORTH-YORKS mailing list. Diocese of York. Bishop’s transcripts. Parish of Rudby-in-Cleveland. Entry for the baptism of Francis Stainthorpe, 4th November 1803. Diocese of York. Bishop’s transcripts. Parish of Rudby-in-Cleveland. Entry for the baptism of John Stainthorpe, 19th August 1810. Hastings, Robert P. Hutton Rudby: industrial village (c.1700-1900). Hutton Rudby and District Local History Society, 1979. Prerogative Court of York. Admon of Margaret Stainthorpe. Probate register 178. Deanery of Cleveland, July 1828. York: Borthwick Institute for Archives. The copy of the lists of persons entitled to vote in the election of two Knights of the Shire for the North-Riding of the County of York, in respect of property situate within the several and respective parishes, townships and places, within mentioned, in the Division or Wapentake of Langbaurgh-West… etc. Northallerton: E. Langdale, 1834. Ancestry Library Edition. http://interactive.ancestrylibrary.com/2410/32969_605905_2052-00053/ (accessed 7th November 2014). Diocese of York. Bishop’s transcripts. Parish of Rudby-in-Cleveland. Entry for the marriage of Francis Stainthorpe and Ann Seamer, 16th June 1829. Parish of Ingleby Arncliffe. Parish register. Entry for the baptism of Ann Seamer, 16th March 1800. Diocese of York. Bishop’s transcripts. Parish of Rudby-in-Cleveland. Entry for the baptism of William Stainthorp, 11th April 1830. General Register Office. Certified copy of an entry of death. Entry for William Stainthorp, 14th February 1848. Copy in the possession of Paul Harland Stainthorp (paul@paulstainthorp.com). GRO index reference: Stokesley 24 399. FreeBMD. http://www.freebmd.org.uk/cgi/information.pl?cite=WTid0xIRy7p4MMXBgtkdJg&scan=1 (accessed 15th October 2014). Diocese of York. Bishop’s transcripts. Parish of Rudby-in-Cleveland. Entry for the baptism of Francis Stainthorp, 4th August 1833. General Register Office. Certified copy of an entry of death. Entry for Francis Stainthorp, 24th May 1840. Copy in the possession of Paul Harland Stainthorp (paul@paulstainthorp.com). GRO index reference: Stokesley XXIV 326. FreeBMD. http://www.freebmd.org.uk/cgi/information.pl?cite=hFGOb3hYcdX31Axmj%2FMOYA&scan=1 (accessed 15th October 2014). Diocese of York. Bishop’s transcripts. Parish of Rudby-in-Cleveland. Entry for the baptism of Charles Stainthorp, 27th December 1835. Douglas, Laurelyn. ‘Health and hygiene in the nineteenth century.’ The Victorian Web: literature, history & culture in the age of Victora. 1991. http://www.victorianweb.org/science/health/health10.html (accessed 15th October 2014). Reports from Assistant Hand-loom Weavers Commissioners. The sessional papers of the House of Lords, in the session 1840 (3° & 4° Victoriæ). Vol. XXXVII. Westminster: House of Lords, 1840. Google Books. http://books.google.co.uk/books?id=9xFcAAAAQAAJ (accessed 4th November 2014). Barrigan, Alice. A history walk round Hutton Rudby. Hutton Rudby History Society, 1997. North Yorkshire History. http://northyorkshirehistory.blogspot.co.uk/2012/10/a-history-walk-round-hutton-rudby.html (accessed 14th October 2014). General Register Office. Certified copy of an entry of marriage. Entry for John Stainthorp and Mary Bennison, 15th April 1850. Copy in the possession of Paul Harland Stainthorp (paul@paulstainthorp.com). GRO index reference: Stokesley XXIV 665. FreeBMD. http://www.freebmd.org.uk/cgi/information.pl?cite=BLCItMhJYmcTHB2CkO0cUg&scan=1 (accessed 14th November 2014). General Register Office. Certified copy of an entry of birth. Entry for Francis Stainthorp, 13th January 1851. Copy in the possession of Paul Harland Stainthorp (paul@paulstainthorp.com). GRO index reference: Stokesley XXII 559. FreeBMD. http://www.freebmd.org.uk/cgi/information.pl?cite=Sktp6nlISW5P5E%2FZW1EjtA&scan=1 (accessed 7th November 2014). General Register Office. Certified copy of an entry of birth. Entry for Robert Stainthorpe, 11th November 1852. Copy in the possession of Paul Harland Stainthorp (paul@paulstainthorp.com). GRO index reference: Stokesley 9d 381. FreeBMD. http://www.freebmd.org.uk/cgi/information.pl?cite=Vxj4h4HyZsjKd2eZoTHEfg&scan=1 (accessed 7th November 2014). General Register Office. 1851 census returns. Archive reference HO107, piece 2375, folio 268, page 27. Entry for Tees Tilery, Normanby, Guisborough. General Register Office. 1851 census returns. Archive reference HO107, piece 2376, folio 279, pages 15-16. Entry for North End, Hutton. General Register Office. Certified copy of an entry of death. Entry for John Stainthorp, 30th April 1858. Copy in the possession of Paul Harland Stainthorp (paul@paulstainthorp.com). GRO index reference: Stokesley 9d 311. FreeBMD. http://www.freebmd.org.uk/cgi/information.pl?cite=dc%2B1re4MDF%2BbZ94BWsEQMQ&scan=1 (accessed 17th November 2014). General Register Office. 1861 census returns. Archive reference RG9, piece 3659, folio 16, page 10. Entry for South Side, Main Street, Hutton Rudby. General Register Office. 1861 census returns. Archive reference RG9, piece 3659, folio 23, page 24. Entry for North End, Hutton Rudby. General Register Office. 1871 census returns. Archive reference RG10, piece 4861, folio 16, page 9. Entry for Goldie Hill, Hutton. General Register Office. 1871 census returns. Archive reference RG10, piece 4861, folio 18, page 13. Entry for North End, Hutton. General Register Office. 1881 census returns. Archive reference RG11, piece 4867, folio 13, page 2. Entry for High Street, Hutton Rudby. General Register Office. 1881 census returns. Archive reference RG11, piece 4867, folio 26, page 28. Entry for North End, Hutton Rudby. General Register Office. Certified copy of an entry of death. Entry for Francis Stainthorpe, 14th August 1882. Copy in the possession of Paul Harland Stainthorp (paul@paulstainthorp.com). GRO index reference: Stokesley 9d 435. FreeBMD. http://www.freebmd.org.uk/cgi/information.pl?cite=R3yuf%2FUe7RBo1B8engtTeQ&scan=1 (accessed 21st October 2014). General Register Office. Certified copy of an entry of death. Entry for Ann Stainthorpe, 5th February 1883. Copy in the possession of Paul Harland Stainthorp (paul@paulstainthorp.com). GRO index reference: Stokesley 9d 453. FreeBMD. http://www.freebmd.org.uk/cgi/information.pl?cite=hfX2WwpnTXEC0soyDLQJKg&scan=1 (accessed 21st October 2014). General Register Office. 1891 census returns. Archive reference RG12, piece 3998, folio 38, page 40. Entry for 4 Railway Cottages, Brotton. General Register Office. Index to the register of deaths. Entry for Mary Stainthorpe, September Quarter 1900. GRO index reference: Guisbro’ 9d 340. FreeBMD. http://www.freebmd.org.uk/cgi/information.pl?cite=TdfMGRsn3QYMD%2FLELT7hVw&scan=1 (accessed 17th November 2014). General Register Office. 1911 census returns. Census reference RG14PN29163 RG78PN1689 RD534 SD1 ED12 SN291. Entry for 4 Railway Cottages, Carlin How, Brotton. Ancestry.com. Public Member Trees. Wilkins – Crooks_2011-08-21. Entry for Francis Stainthorpe. Ancestry Library Edition. http://trees.ancestrylibrary.com/tree/43012929/person/12605101672 (accessed 26th November 2014). Paul Harland Stainthorp (paul@paulstainthorp.com). Version 1.1.0, updated 12th December 2014. The grave site of Thomas Foster, his wife Hannah Cass Foster née Bassett, and their daughter Eliza. With thanks to the staff of the Crematorium Office of the City of Lincoln Council and the attendants of Newport Cemetery, Lincoln, for their help in finding the grave site. Thanks also to the Lincolnshire public library service and the Lincolnshire Archives. “FreeReg” (database, FreeReg, http://www.freereg.org.uk/ : accessed 22 June 2016). “1861 England Census” (digital images, Ancestry Library Edition, http://www.ancestrylibrary.com/ : accessed 7 ‎July ‎2015; citing Census Returns of England and Wales, 1861, The National Archives, Kew). Page, Anne, Of Choristers – ancient and modern, (http://www.ofchoristers.net/Chapters/Lincoln.htm : accessed 11 November 2014), “Lincoln, The Minster School”, 21 December 2004. “1911 England Census” (digital images, Ancestry Library Edition, http://www.ancestrylibrary.com/ : accessed 7 ‎July 2015; citing Census Returns of England and Wales, 1911, The National Archives, Kew). “Lincs to the Past” (digital images, Lincs to the Past, http://www.lincstothepast.com/ : accessed 11 November 2014). City of Lincoln, burial record (Newport Cemetery, Lincoln), plot D.310. 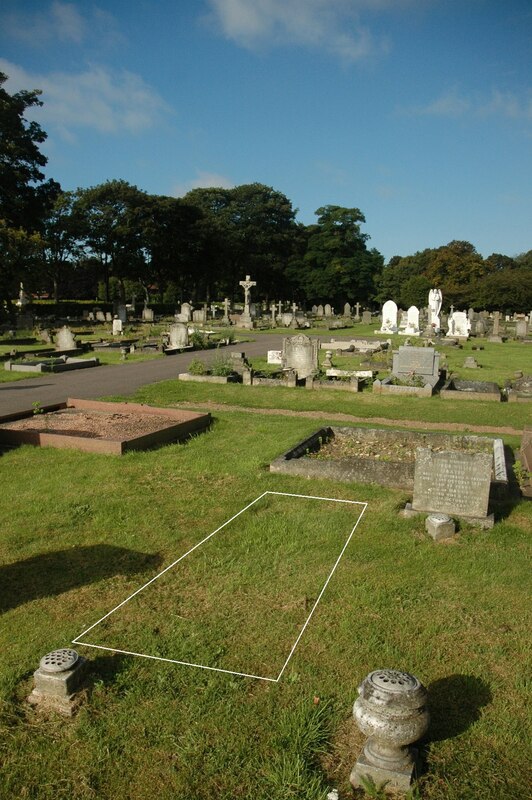 Commonwealth War Graves Commission, “Find war dead” (digital images, CWGC, http://www.cwgc.org/ : accessed 11 November 2014). City war memorial (High Street, Lincoln). Paul Harland Stainthorp (paul@paulstainthorp.com). Version 1.0, updated 11th November 2014.